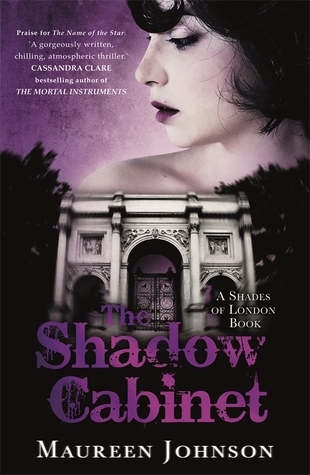 today I’m waiting on THE SHADOW CABINET (Shades of London #3) by Maureen Johnson (expected publication: 16th September 2014 in the US/Canada, but 5th February 2015 in the UK). It’ll be the third book in this YA Fantasy series, which will have four books in total. I enjoyed the first two books and the prequel of this series about teens fighting ghosts in London, and I’m looking forward to reading the next instalment. The blurb is super spoilery if you haven’t read the first books, but you can read it on Goodreads here if you want. This entry was posted in Waiting On Wednesday and tagged 2015 release, EM Castellan, Maureen Johnson, Shades of London, The Shadow Cabinet, Waiting On Wednesday, YA Fantasy, Young Adult literature. Can’t wait for this book to come out! The cliffhanger at the end of the last one is killing me!